Certainly the financial world is keeping one eye on interest rates, but regional financial institutions are more focused on keeping their customer base strong amid tight local competition. Diversified revenue streams help to protect them from over-dependence on interest income, and they must stay nimble enough to compete on a number of different fronts. Is there an opportunity to capitalize as national banks struggle with customer satisfaction? With millennials gravitating to local lenders, how can banks capture the loyalty of the next generation? Will the emphasis on fee income shift when rates increase, with some customers re-evaluating their balance of dividend-yielding stocks and insured deposits? Just as the balance sheet benefits from a diversified approach, so too does marketing. The right mix of messages emphasizing local service and a long term view of customers’ financial stability can set a foundation that allows banks to pivot with the landscape. By leading with a value proposition focused more on partnering with account holders than pushing them product, banks can build a layer of trust that will allow them to engage customers throughout their lifecycle. In an ideal world, that mindset translates into making direct connections with customers. Tactics like social media engagement, highly targeted digital campaigns, direct marketing, and public relations should not be planned in isolation. When financial companies coordinate these elements around a consistent message and thoughtful rollout, they are much more likely to make an impact on the market that will outlast sudden shifts in sentiment. 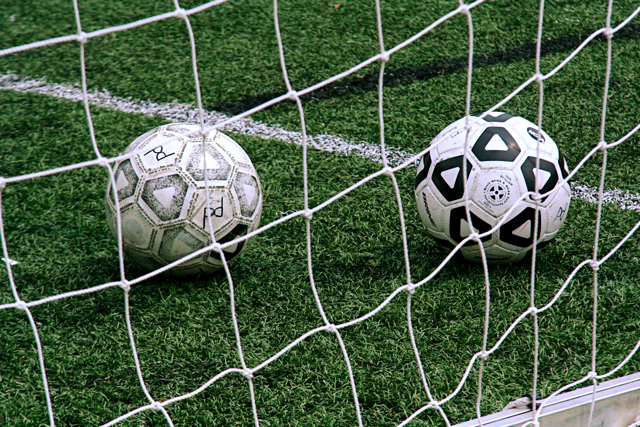 Simply put, a well-rounded approach brings deeper, broader relationships. Financial institutions have no shortage of challenges to choose from. Whether seeking opportunities to expand geographically, reaching out to a different customer segment, or reacting to a competitor’s new local branch, business and marketing strategies must be fluid and multifaceted. Those companies that embrace a flexible message that transcends any given moment will find their customer base is more likely to grow with them. Even if you’re not a Broadway fan, there is some news that PR pros need to talk about. 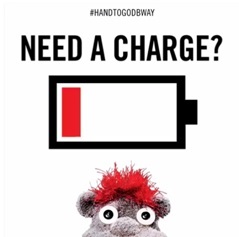 If you haven’t heard, a desperate phone-out-of-battery audience member at a performance of the Broadway Play, Hand to God jumped on stage with his charger in hand. The anxious theater goer was scanning the theater ready to plug his phone into a visible outlet. Before he could realize that the outlet was fake and simply a part of the set, security intervened and led him back to his seat as to not disrupt the rest of the audience. Sounds like no big deal right? However, the entire incident only lasted seconds, but the reaction lasted weeks. The audience member not only delayed the play and interrupted the entire performance, but he also added to the never-ending observation of how attached people are to their phones. Because of this, people were eager to tweet, post and share their opinion about society’s dependence on technology, causing a reaction from Hand to God’s publicity team. As in any unexpected situation, the reactions go viral immediately- especially in a world where social media runs untamed. The need for thoughtful PR has increased as silly incidents like this one have become more frequent and more viral. The lesson for brands is that they can’t always control the incidents that will spark chatter on social media, but they can control their reactions- especially by using PR. What’s more, it is exciting to see the story lines and headlines that can result from an unexpected situation. For example, this incident drew attention to the play’s craftsmanship of the set design (due to the realistic outlet). That discussion was a great way to lead to positive attention from the media. With their own initiatives, the play’s publicity team were able to control the reactions that yielded the most results. They created a hashtag, #Chargergate, created their own video, and even forgave the audience member when he came forward and apologized on camera– right in front of the theater itself. They took advantage of this interruption, and turned it into a full-fledged PR campaign. And to boot, the buzz encouraged people to ask how they could buy tickets to see the show! As a PR Account Coordinator, it was interesting to me to watch this event unfold and watch the conversations in the media develop. I believe that PR pros can make a reactive campaign that works by controlling the conversation on social media and using the attention to reach overall marketing goals. I give Hand to God’s PR team a standing ovation- they did everything right, and used great responsive PR techniques to boost their brand. Post-‘Call Me Caitlyn’: What happens now? There truly have been few news stories more captivating than the Caitlyn Jenner story, at least that I can remember. The first time we heard her story was in the 20/20 interview with Diane Sawyer back in April. Sawyer interviewed Bruce Jenner, who told America he would be transitioning to the woman he always felt he was come the end of Spring. Then, on June 1st, Vanity Fair released the now-famous “Call Me Caitlyn” cover that finally introduced her to us all. The feedback C aitlyn has received is particularly interesting. We live in a time where the media, particularly the tabloid media the Jenner-Kardashian clan is accustomed to, is notoriously cruel to its subjects. But the majority of people seem really united on this: Caitlyn Jenner is being unapologetically herself and it’s awesome. So, while this may seem like a “cultural tipping point” on our acceptance of people that seem different than us, the advertising industry still needs to be careful. Whether due to the wishes of Caitlyn herself, or advertisers, most big brands have kept quiet on whether they plan to approach her for endorsements. And it might be for good reason. We may have reached a point where an overwhelming majority of Americans are supportive of Caitlyn Jenner, but it’s still easy for a campaign to go wrong. The reality is this is this is a lot of individuals first exposure to a transgender person, and knowing which pronoun to use can sometimes be tricky. Authenticity – Of course having Caitlyn Jenner’s name attached to your brand is publicity. But this kind of partnership will require authenticity beyond that. For a lot of people, Caitlyn’s story is also deeply personal and sensitive for them, as well. If brands are in it just for the publicity boost, or even worse – to poke fun, it won’t go over well. Deeper connection – Makeup brands, female-oriented clothing stores and even female-oriented workout gear are obvious choices for Caitlyn. For it to not seem like brands in these categories are jumping on a bandwagon, they’ll need to have a certain edge, progressive attitude and history of supporting causes such as this. Brands like MAC – with a long legacy in the LGBT community, fit the bill. Conscientiousness – For whichever brand (if any) sign on Caitlyn Jenner, knowing exactly how they are portraying her and exactly what they are saying at all times will be key. This is too much of a hot button topic and too personal for many people for a brand to slip up at any time. Caitlyn Jenner as an endorser is certainly not about capitalizing on the hot news story of the day. For many people, whether part of the LGBT community themselves or not, she is a powerful beacon for being yourself, and has the ability to start conversations about things our society desperately needs to talk about. Sensitivity will be key for the brands aligning themselves with Caitlyn Jenner. But for Caitlyn, a great endorsement could bring an even higher profile to one of the most inspiring figures in recent memory. This year, the U.S. was introduced to Red Nose Day – a campaign that originated in the U.K. dedicated to raising money for children and young people living in poverty by simply having fun and making people laugh. Since 1988, Red Nose Day has raised more than $1 billion in the U.K. 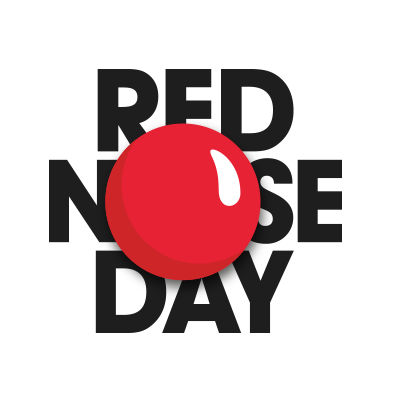 Through several different advertising platforms, companies like NBC and Walgreens (the exclusive retailer for Red Nose Day) attempted to educate the nation about Red Nose Day and encourage donations to the Red Nose Charity. NBC spearheaded the event and hosted a live three hour show on May 21st featuring all of Hollywood’s biggest names – Jennifer Aniston, Julia Roberts, Seth Myers, Neil Patrick Harris and more – which helped raise more than $21 million. Unfortunately, while the U.S. was able to raise a significant amount of money for the charity, the campaign paled in comparison to the numbers the U.K. has been able to put up in years past. Two things interested me about this campaign. First is the amount of media space donated to promote the initiative. From print and digital space to airtime for spots to billboards, media partners such as Outfront Media, Conde Nast, iHeartMedia, Rolling Stone, Spotify and more generously donated their coveted ad space to promote the NBC program and the entire campaign. According to AdWeek, “NBC puts the value of the donated media ‘in excess of $10 million.’” I’ve seen media companies donate space before – back in 2012 a number of them made sizable donations to charities to benefit the victims of Hurricane Sandy. To me though, because this was a scheduled event (whereas nobody could have predicted the damage that Sandy left behind) it impressed me how much these media partners stepped up. What also interested me about Red Nose Day was that even though over $10 million dollars was spent to promote Red Nose Day and the telecast on NBC, ratings for the program were nothing short of disappointing. Even though over $21 million was raised, the three-hour charity comedy show received just a 0.8 rating — down 27% from the previous week’s primetime lineup — among adults 18-49, and averaged a modest 3.2 million total viewers (U.K’s program saw over three times that amount). This started to raise a few questions. Was it a lack of brand awareness? Did people not know about the telecast? Or perhaps people simply skipped out early for the holiday weekend. A quick poll of the Ebben Zall office went pretty much like this: “I’m writing my blog on the Red Nose Day show” “…the what?” It was hard to believe that while the event is so popular in the U.K., the U.S. would fail to bring in a large audience. In my opinion, the show should have been on another night. Even though it was in prime time, by Memorial Day, many people have said goodbye to TV until after the summer. Their favorite shows have just wrapped up and they’re ready to enjoy summer and being outside again. Honestly, any show would have put up disappointing numbers that week. Also, the campaign needed more brand awareness – more in your face advertising. With a lineup of celebrities ranging from comedians, actors, reality TV starts, country artists, rock artists (the list goes on and on!) there’s no reason people would not be interested in the show NBC put on. So until next year, Red Nose Day. I’m looking forward to you not only raising a lot of money – but a lot of ratings too! It is officially graduation season! Guaranteed during this wonderful time of decorated caps and gowns and the passing of diplomas, is the abundance of commencement speeches attempting to give graduates words of wisdom. I do not intend to stray from this tradition here, and there is specific advice for graduates who have earned their degree in Public Relations or expect to continue their future in the communications field. There is something unique and exciting about continuing down the path of press releases, media lists and connecting with the general public. Which is why if you are going to listen to any commencement speech besides your own, listen to Jorge Ramos, news anchor, author and TIME 100 honoree, and his commencement speech at the USC Annenberg School for Communication and Journalism. Jorge Ramos speaks directly to those who have a passion for the Communications field and gives graduates a future to look forward to in the ever changing, whirlwind of a career that is Public Relations. As Ramos explains, wealth is not guaranteed, the new rule is “digital first,” and you are about to begin “living the equivalent of climate change, with the fundamentals of the business melting like icebergs in the summer, being flooded by social media and looking outside the window with anxiety and uncertainty.” With all of this in mind, he assures us that we can still succeed. There is also a comforting revelation within Ramos’ words. “If hell is doing over and over again things that you hate to do, journalism and public relations is exactly the opposite of that. No day has ever been the same for me in decades. And that is paradise.” No matter how hectic this career path may become, you will love how thrilling it can be, and I can absolutely attest to that. Not everyone is an NPR nerd like me, so it’s quite possible that some of our readers have missed out on the viral phenomenon that is Serial. Serial is a podcast spinoff of the preeminent public radio program, This American Life. Just a few short weeks ago, producer Sarah Koenig introduced us to a fifteen year-old murder case with a few grey areas. Serial follows Koenig’s research into the 1999 murder of 18 year old Hae Min Lee in Baltimore, MD, by her ex-boyfriend, 19 year old Adnan Syed. The basic building blocks of the case are as follows: Syed was convicted of his ex-girlfriend’s murder under shaky testimonies, questions about the competence of his lawyer, and a rather mind-numbing trip through the 1999 cell phone records of a teenager. It’s incredibly captivating to hear Koenig walk us through the details of every aspect of the case, including the not-so-stable evidence. I’ve been listening since October and was hooked all through the end. It’s no surprise the show has shot to the top of the podcast charts with its provocative tale. The show’s popularity has me wondering about the opportunity for advertisers if podcasts really take off. Serial’s main advertiser – MailChimp – has gone viral due to the show’s success. The pre-roll audio ad plays at the start of every new episode, and I’ve noticed a few more ads included in the opening theme music of the show. It seems like podcast advertising is finally about to go mainstream, and here’s a few reasons why it would be silly not to. Active listening: Some companies are opposed to radio advertising because music stations don’t necessarily lend themselves to an active listening environment. It’s easy for an ad to get lost in the shuffle and become background noise. With podcasting, listeners most likely won’t press play just to tune the episode out, meaning the advertisements should be getting noticed. Target audience: Part of the podcast’s allure is the sheer volume of shows available. There are the NPR-produced shows that reach your typical NPR-type audiences, but there are also the famous comedians, scientists, movie critics, conspiracy theorists, and fantasy baseball analysts (even Alec Baldwin) who have found a voice through podcasting. No matter how diverse an audience is, a company can hit it by advertising on a podcast because there is something for everyone. Native feel: MailChimp’s Serial ad is successful is because it sounds as though it’s part of the story. Listeners hear the voice of the show’s producer (at the very end of the MailChimp spot) telling you she essentially produced it herself. The spot even follows the interview format that mirrors the podcast’s structure. The advertisement feels native, like it’s a part of the show itself, lending itself to credibility, engagement and proper message delivery. What do you think? Should podcasts enjoy their fifteen minutes of viral fame, or are they truly a viable channel for many advertisers to look at? 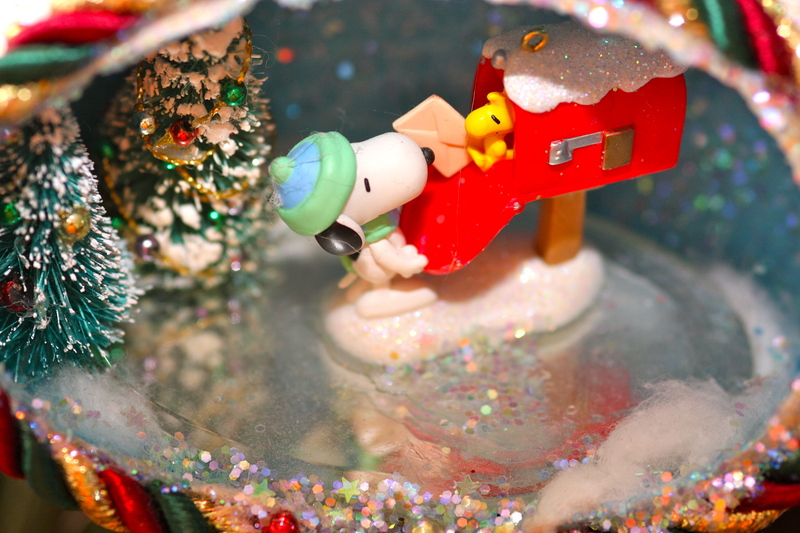 It’s the most wonderful time of the year, or at least that’s what every holiday song leads us to believe. But in PR, the holidays can be a difficult time of the year to capture the media’s attention. Getting a reporter to bite is never an easy task, but this time of year, normal pitching challenges are on overdrive due to the magnitude of holiday angle pitches they must receive. Contrary to popular belief, reporters do have a life when they’re not on the clock. They visit their families during the holidays, they take vacations, and they may even write “light and fluffy” stories to maintain their beats. And while a PR professional (like you) may have found the perfect reporter for your story, there’s no guarantees that they’re available and willing to take your call or email. At EZG, we like to continue our follow up longer than we normally would to ensure we’re covering our bases. To stay relevant, and increase your chances of having your pitch be received, the material you send should be short and simple. The end of the year proves to be a time when reporters are rushed, or regularly unavailable, so make your pitch count. Media will not dig through your pitch to find the main points. Present the most newsworthy information at the forefront instead of bogging down an email pitch with flowery language and unnecessary detail. Additionally, remember that a holiday hook isn’t a guarantee for a press placement. If you are using the holidays as the hook, just remember you’re not alone. Reporters, especially retail and consumer reporters, must receive hundreds of holiday angle pitches a day. Make sure that what you are pitching is actually relevant to the holidays; reporters want stories that fit in with the theme of the holiday season. No matter what time of year, it’s always a challenge for PR folks to determine what the media is looking for. However, it’s important to embrace the holiday season with finesse, creativity and brevity. With a compelling angle, whether it ties into the holidays or not, your story has a chance of being covered. With a little hard work, the holidays can truly become a wonderland for pitches.